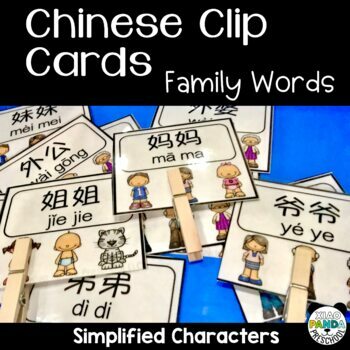 Help Chinese immersion students practice family words with these fun clip cards! Students will see simplified Chinese with pinyin support and colorful visual aids. Attach a sticker on the back so students can check their own, or each other's answers as they work on this game! 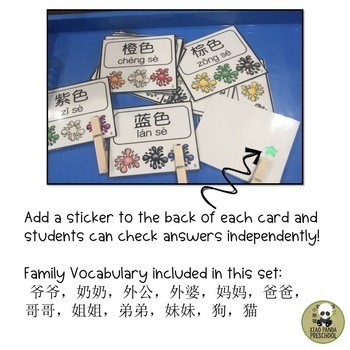 This activity is available at a discounted price in my Chinese Clip Card GROWING BUNDLE. This bundle includes all my current and all my future clip card activities that are yet to be added! The earlier you purchase, the more you save!